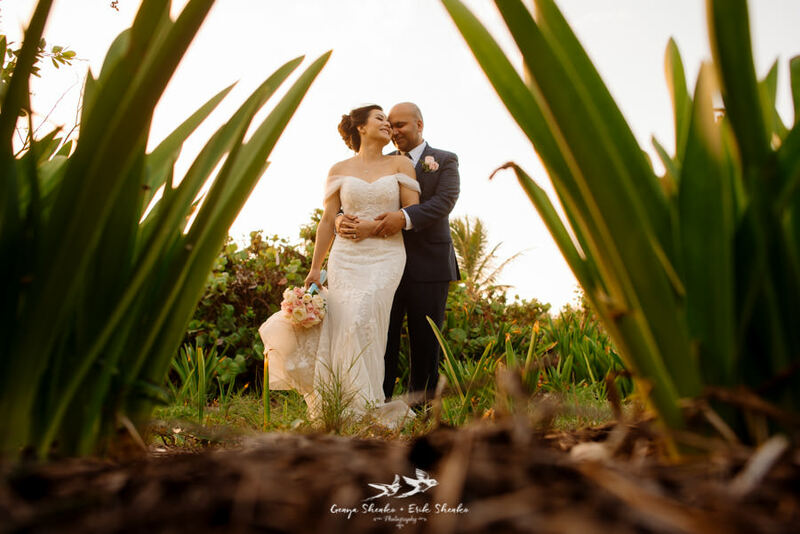 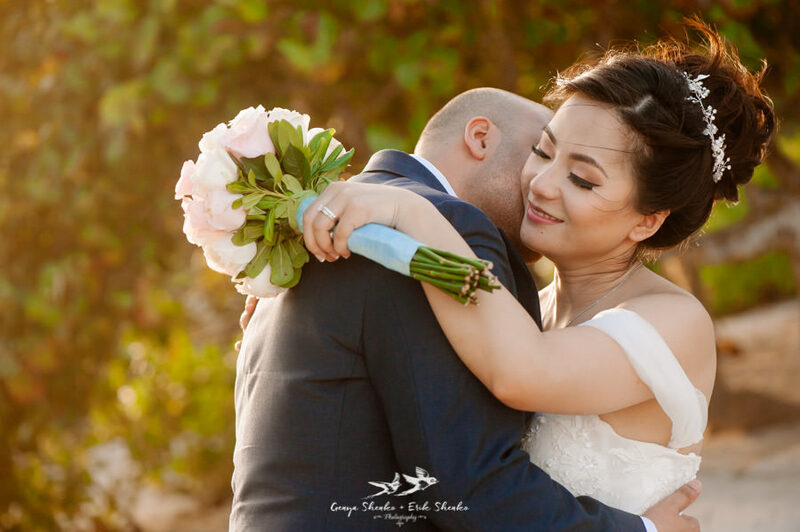 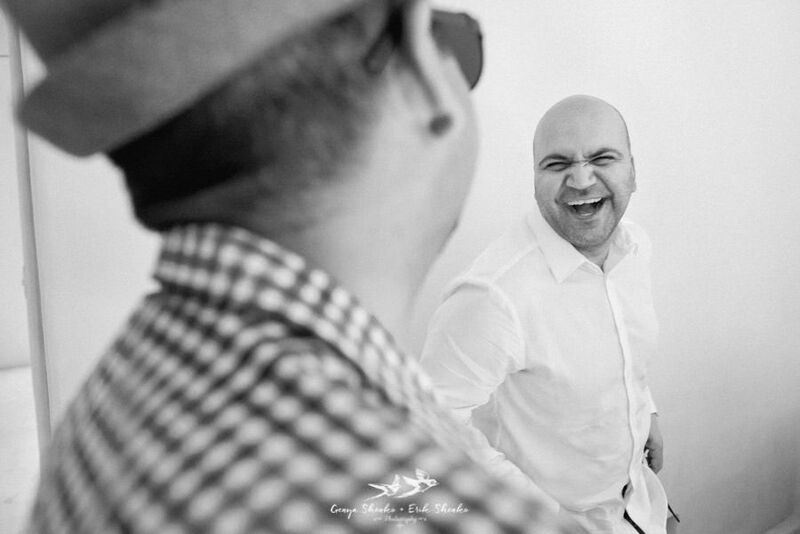 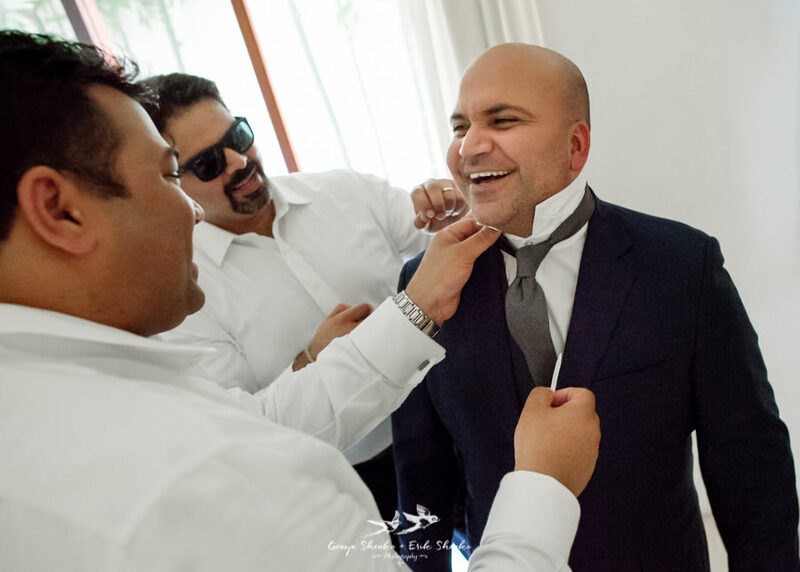 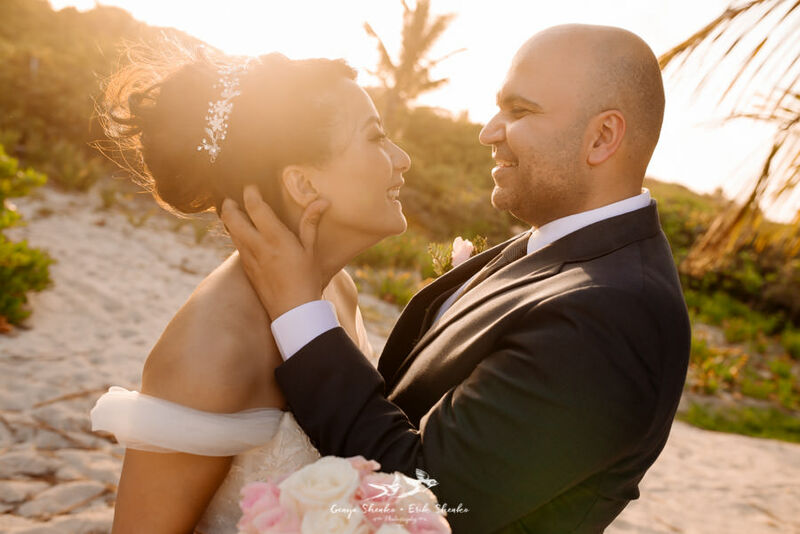 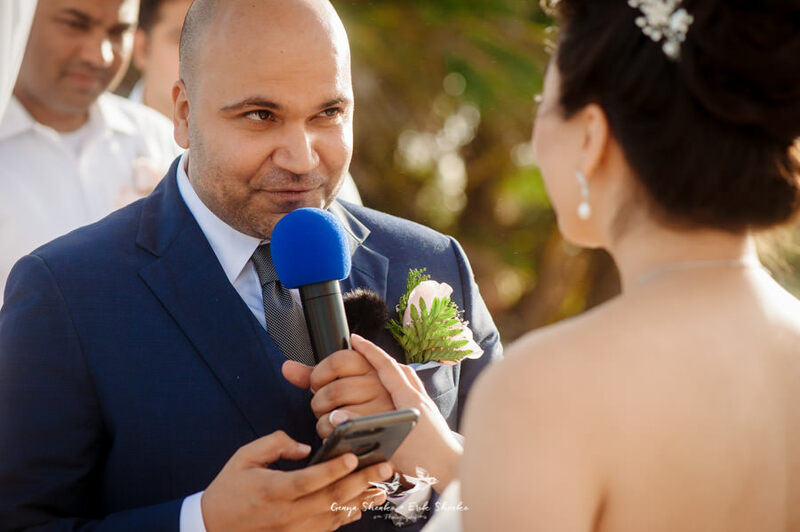 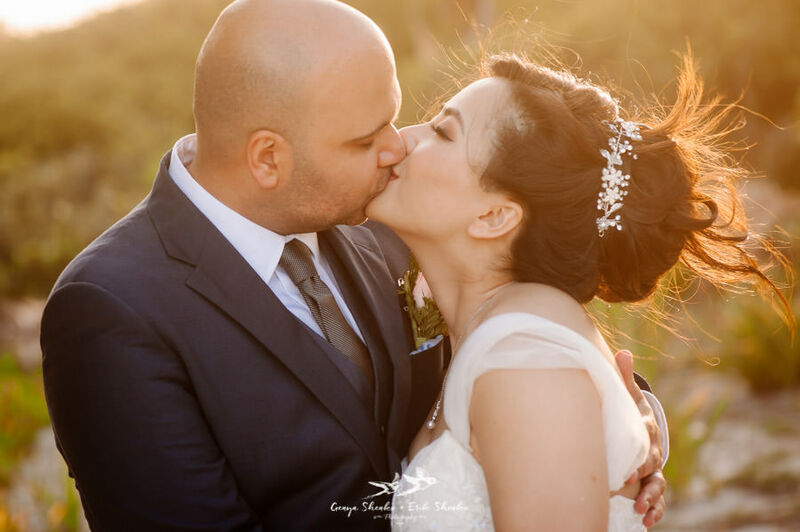 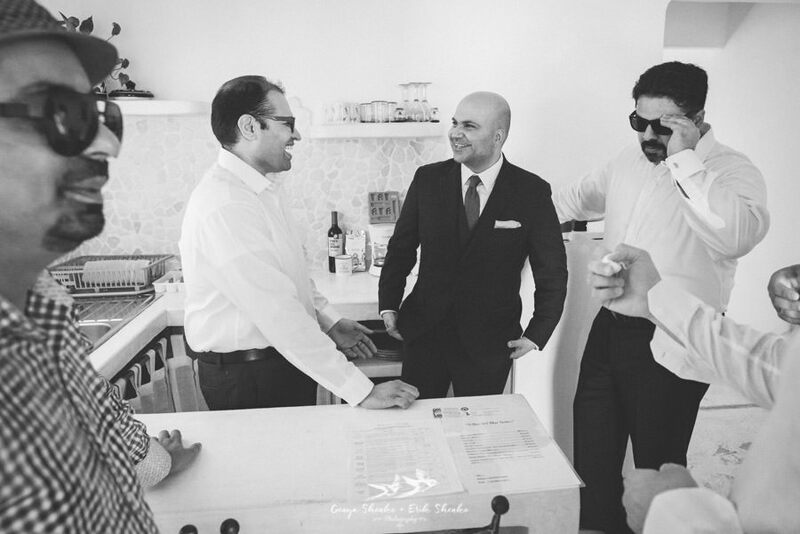 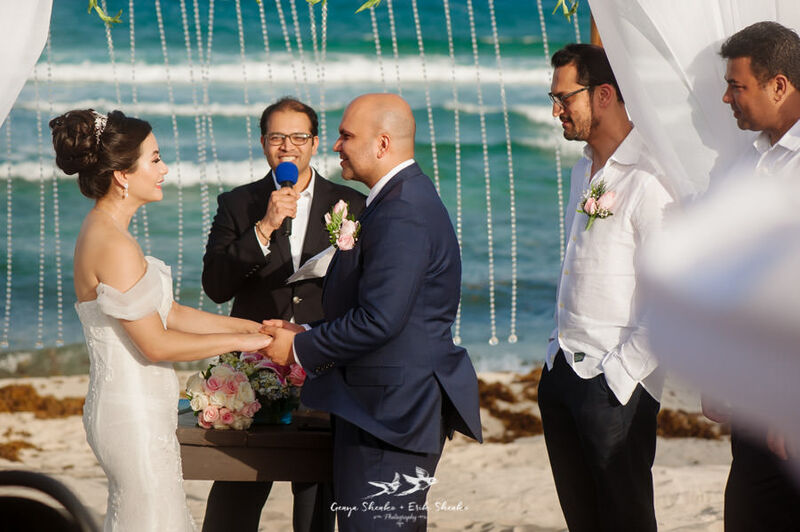 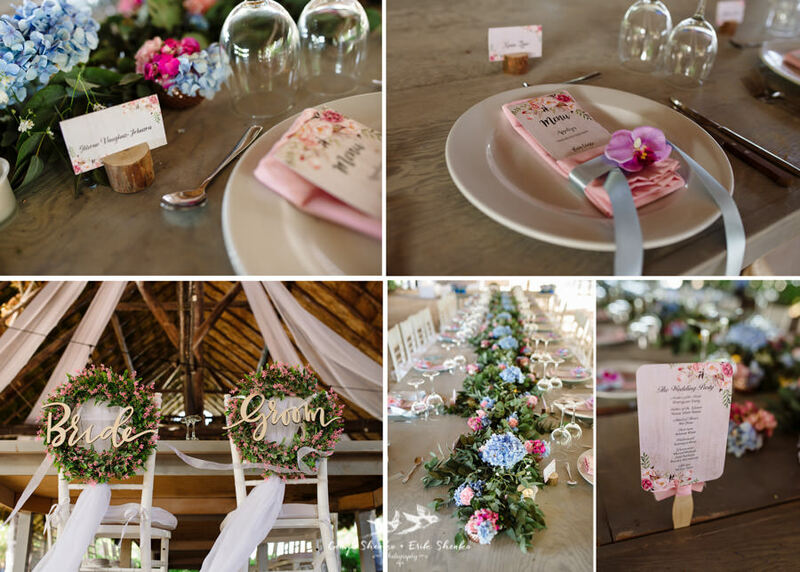 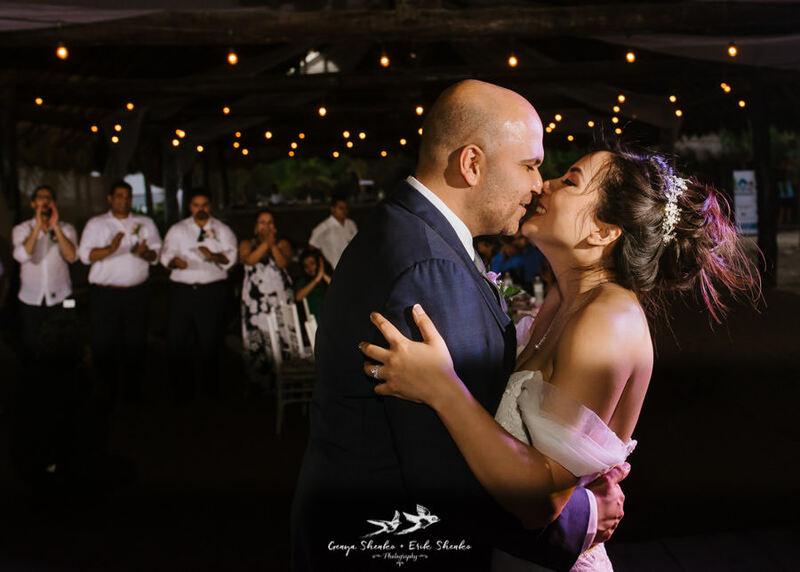 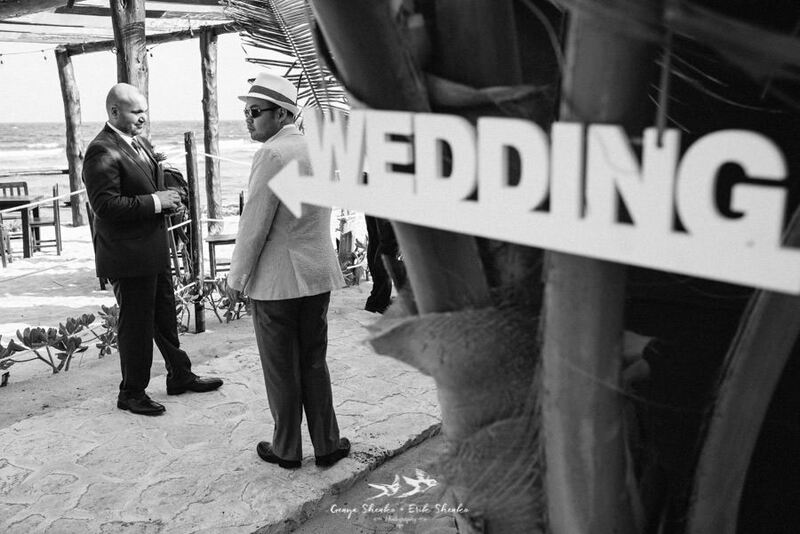 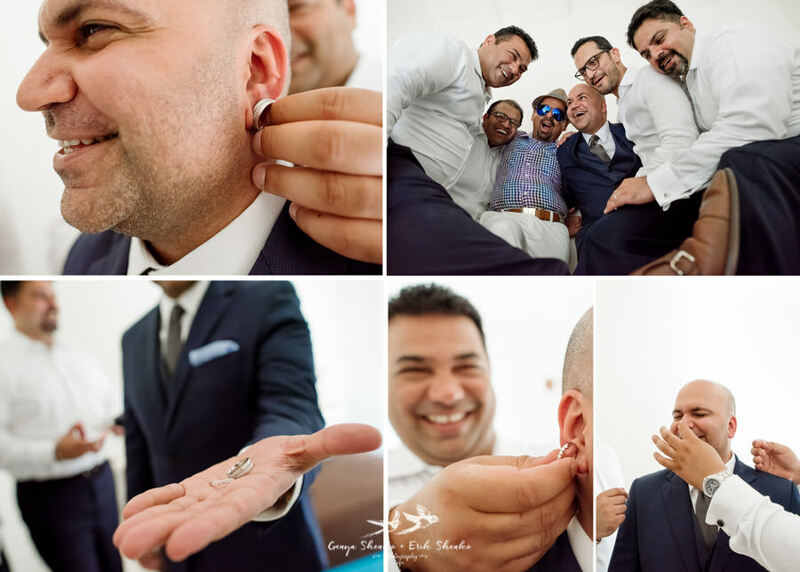 A sweetest couple Xuan and Ibrahim had their destination wedding at Blue Venado beach club a month ago and we were truly honored to document their big day full of laughs, flowers, tears, rush, sea salt and kind words. 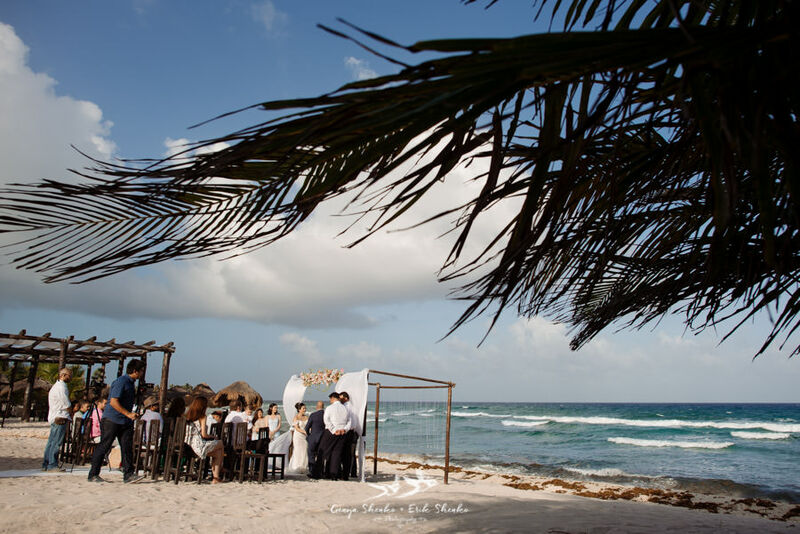 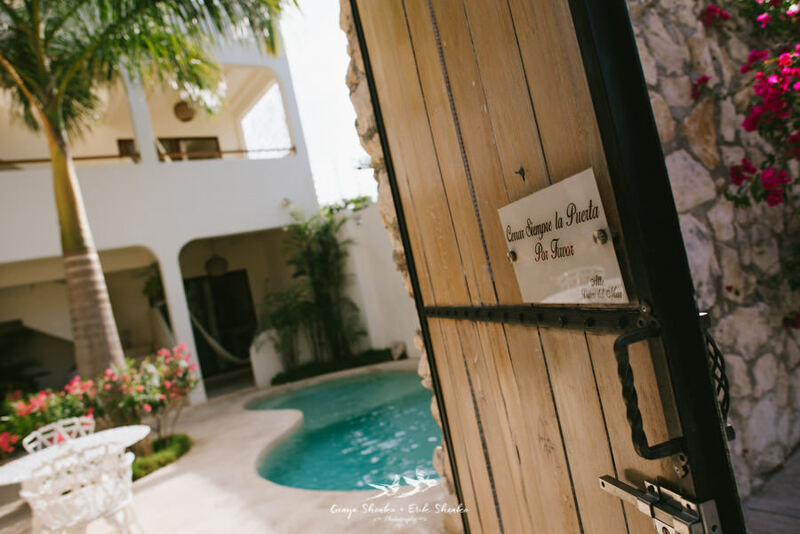 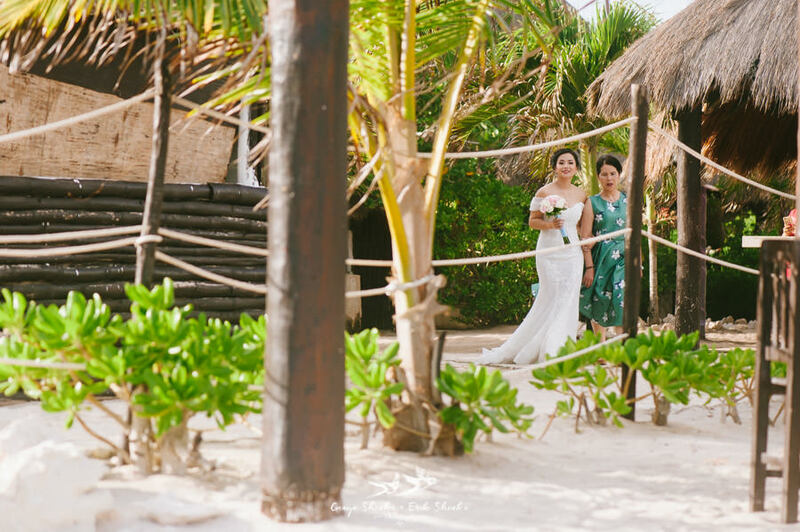 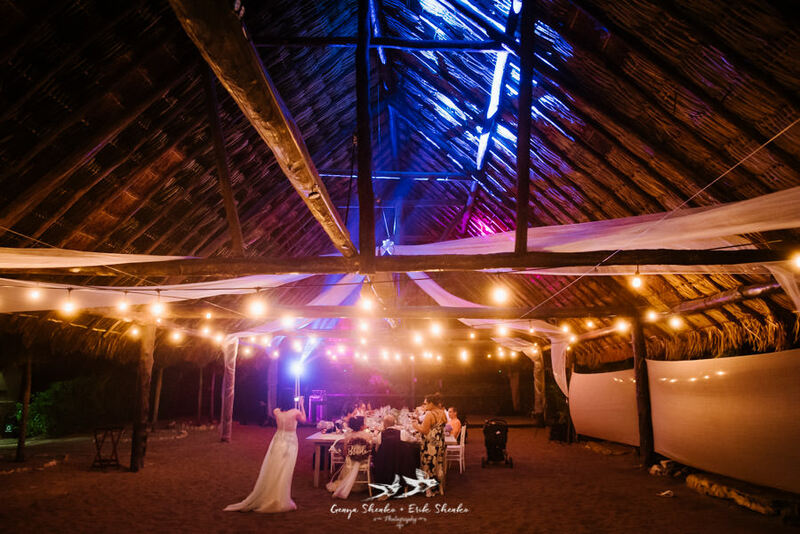 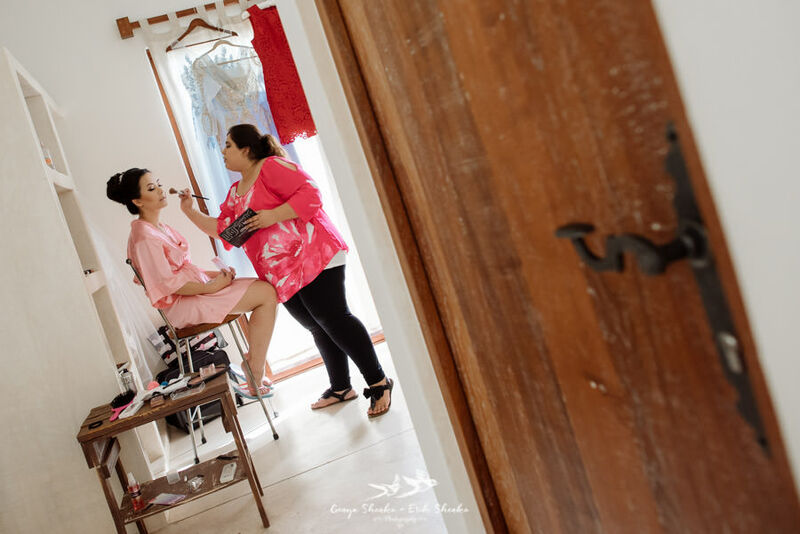 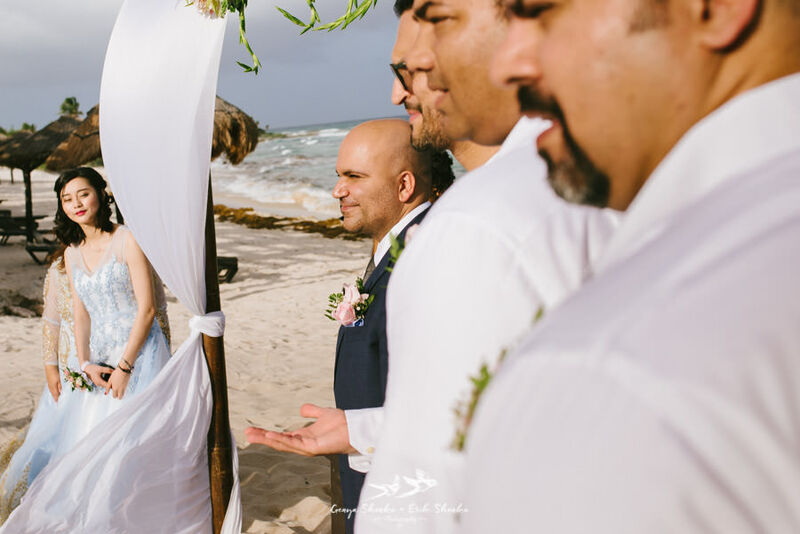 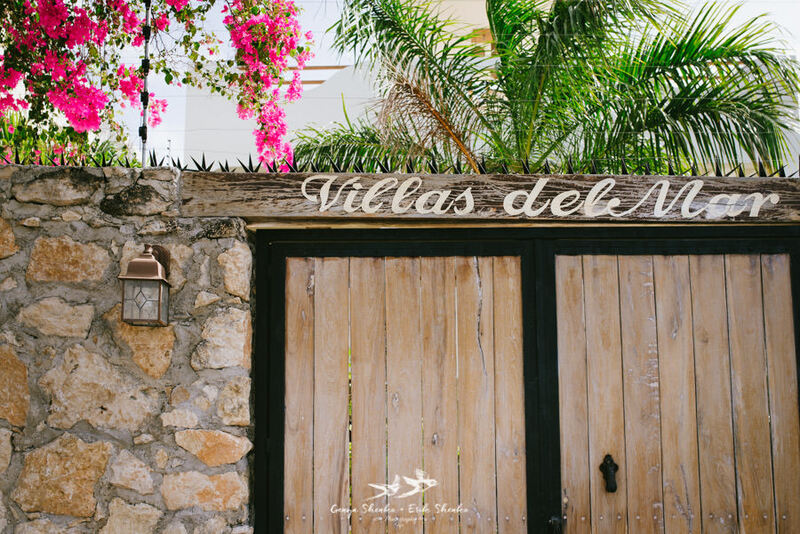 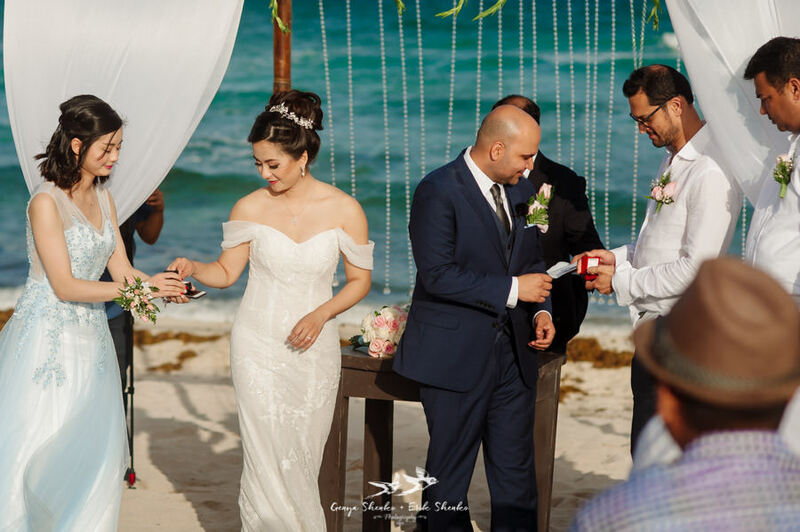 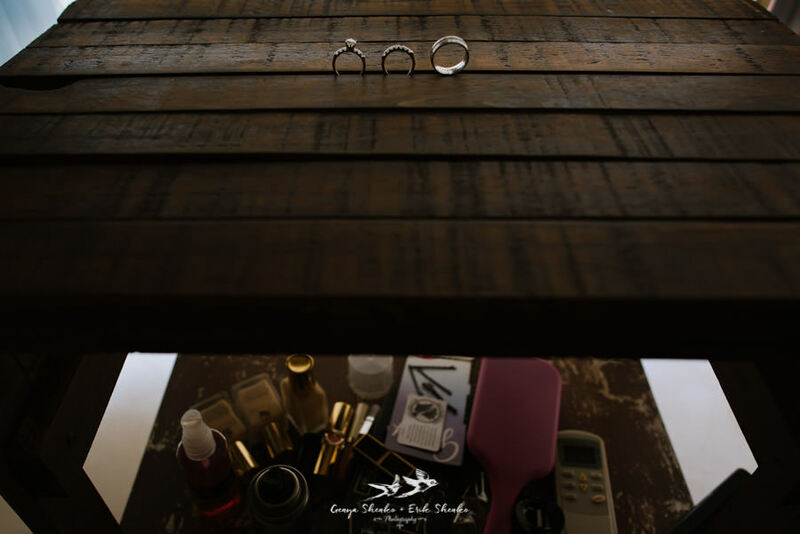 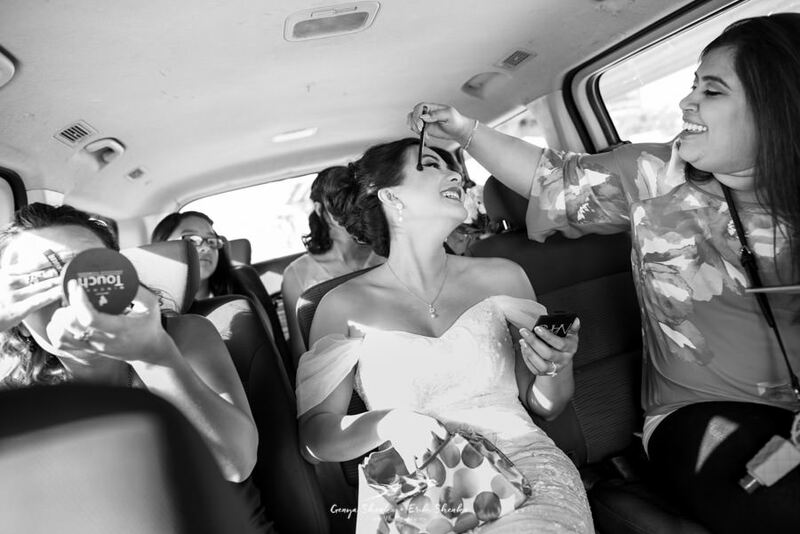 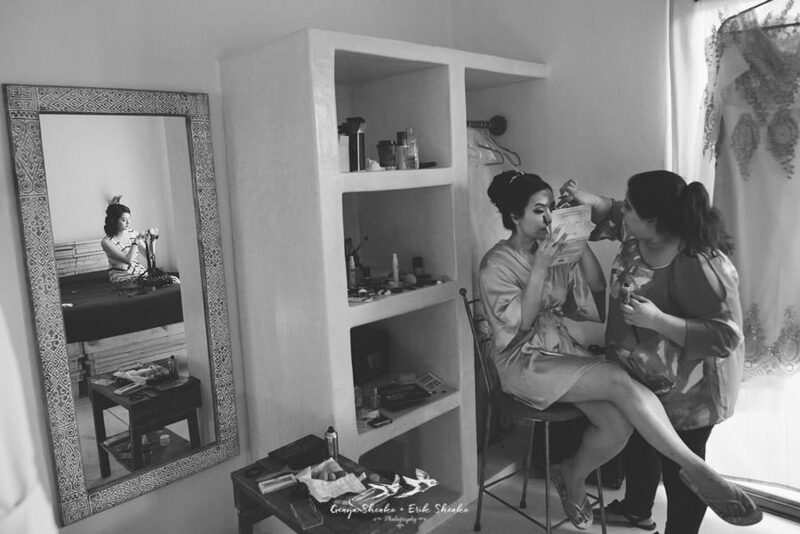 Once again, it was an off resort wedding with a getting ready at Villas del Mar at Playa del Carmen, just 30 minutes from the beach club. 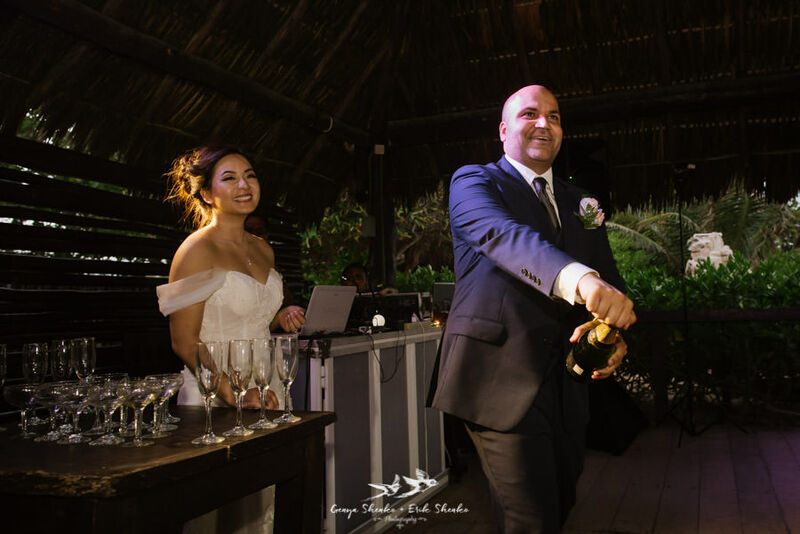 We simply love off resort weddings as they give more freedom to the couple in their organization and to us, as photographers, in the moment we are working. 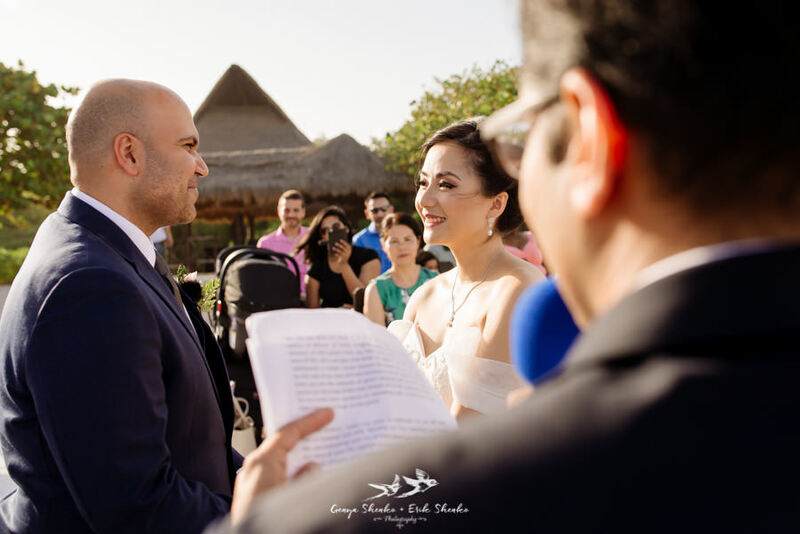 We asked our dear couple, Xuan and Ibrahim, tell us a little bit about their experience. 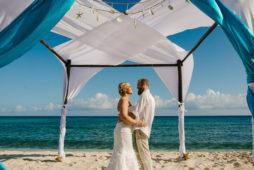 What mad you decide to choose an off resort wedding? 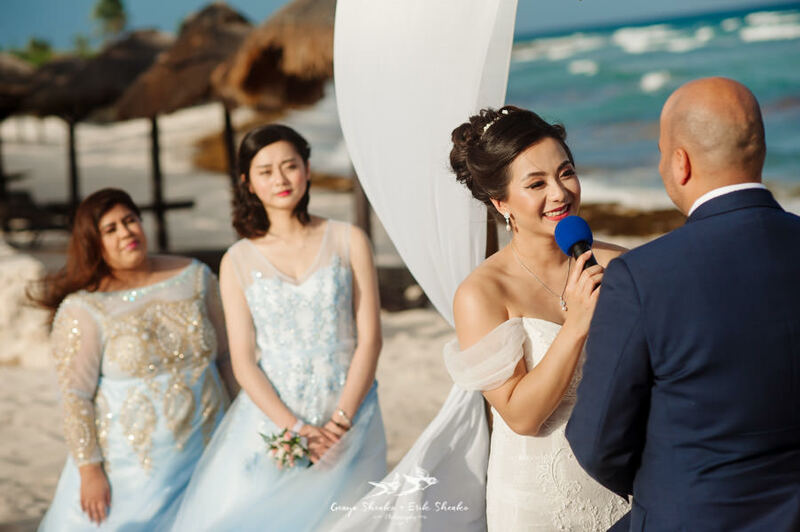 Off resort wedding offered us flexibility. 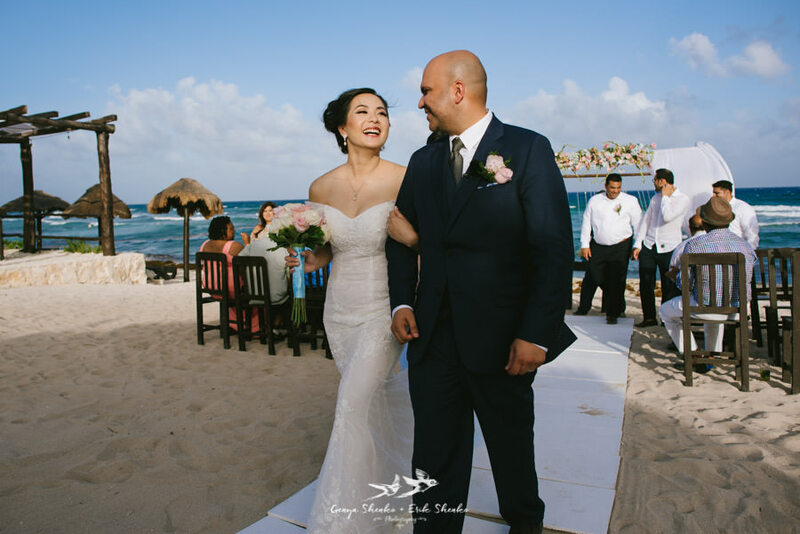 Our guests could stay in whichever hotels and resorts they chose to; some friends stayed in Cancun and some stayed on 5th avenue in PDC; the rest stayed with us in Paradisus La Perla. 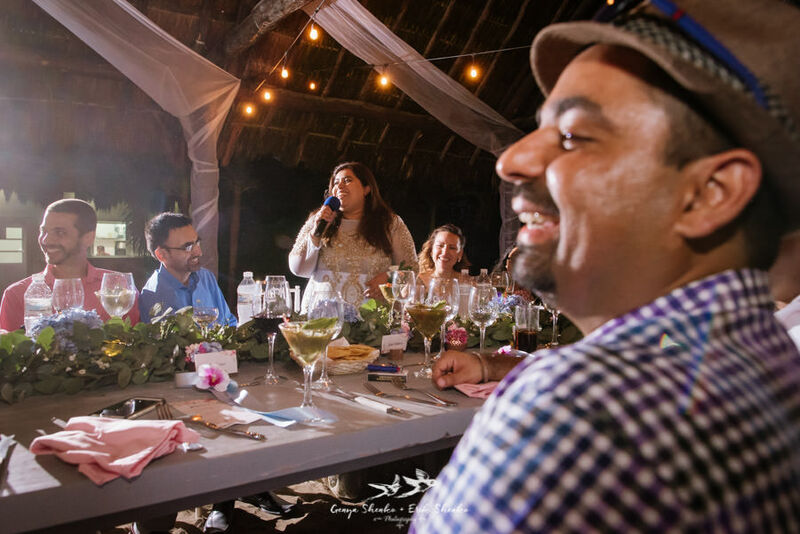 We all got to taste the different style of foods and enjoy the view and beach in Blue Venado. 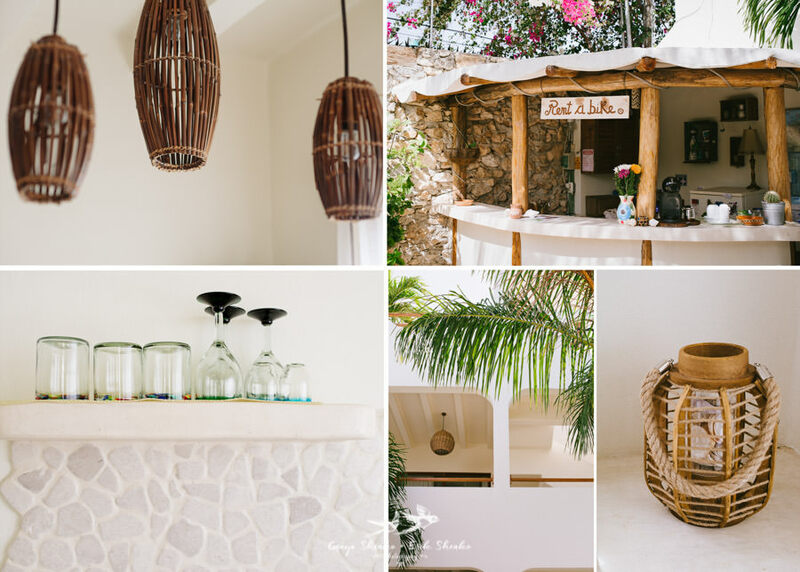 It is different from resort. 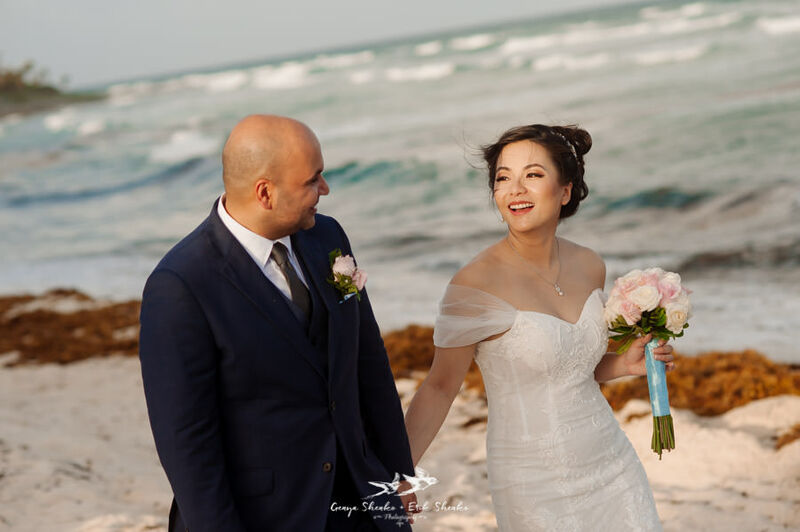 Also it avoided the vendor fees that the resort charges. 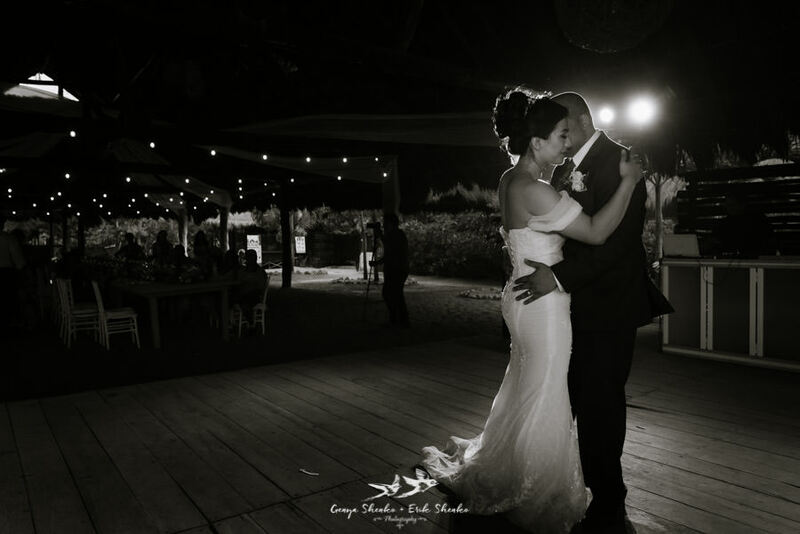 We were able to choose our favorite photographers and videographers. 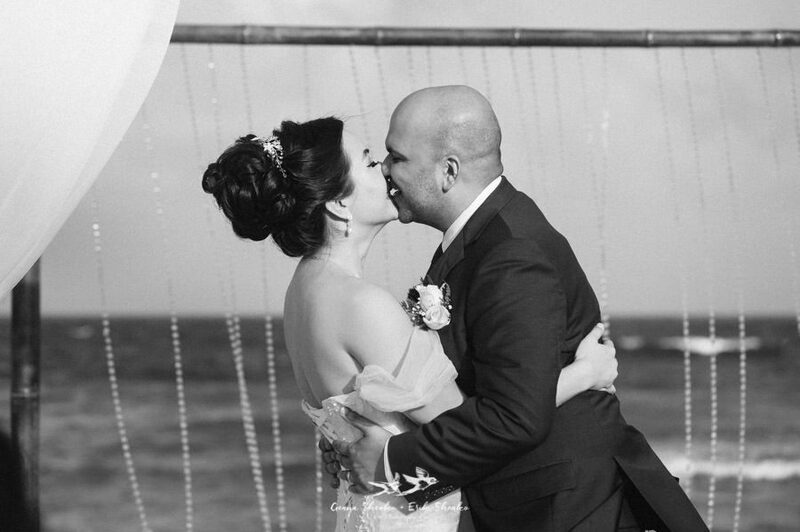 It was the best day of our lives. 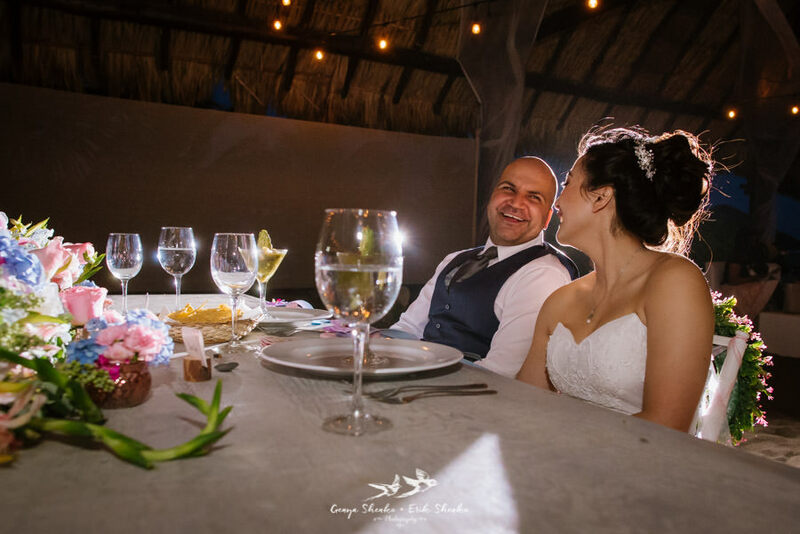 The day went by so fast like all the other married couple said it would 🙂 The weather, flowers, ceremony arch, food, wedding cake, etc. 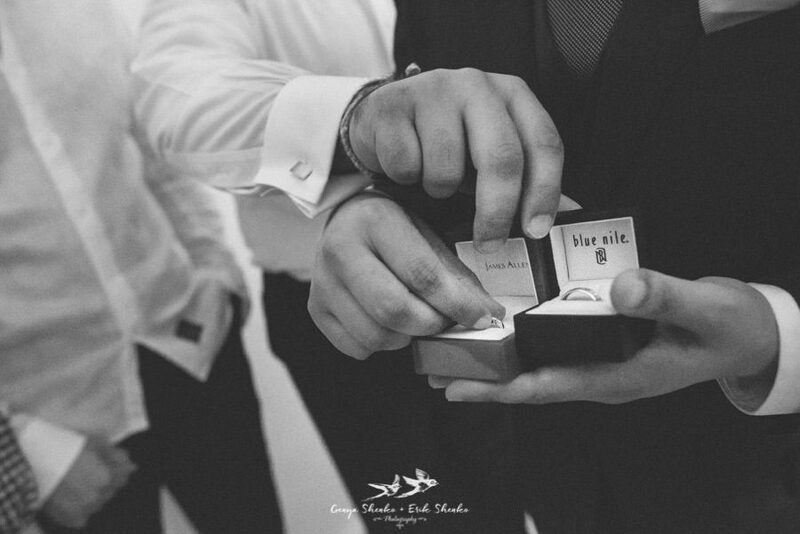 were just like what we wanted. 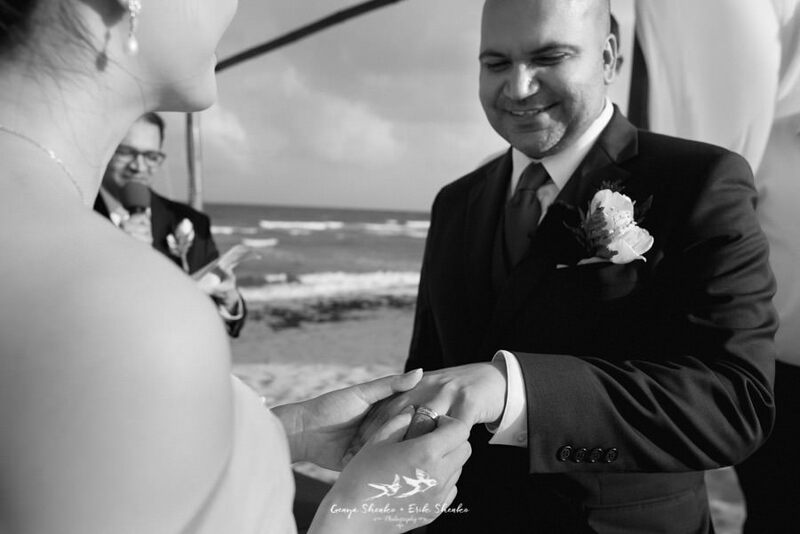 We couldn’t ask for more but wish that day could have lasted longer. 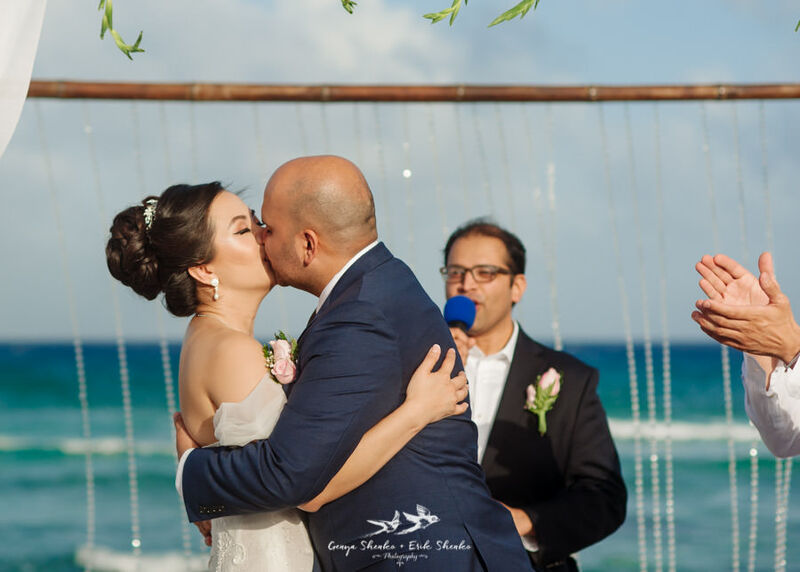 What were you’re favourite moment of the day? 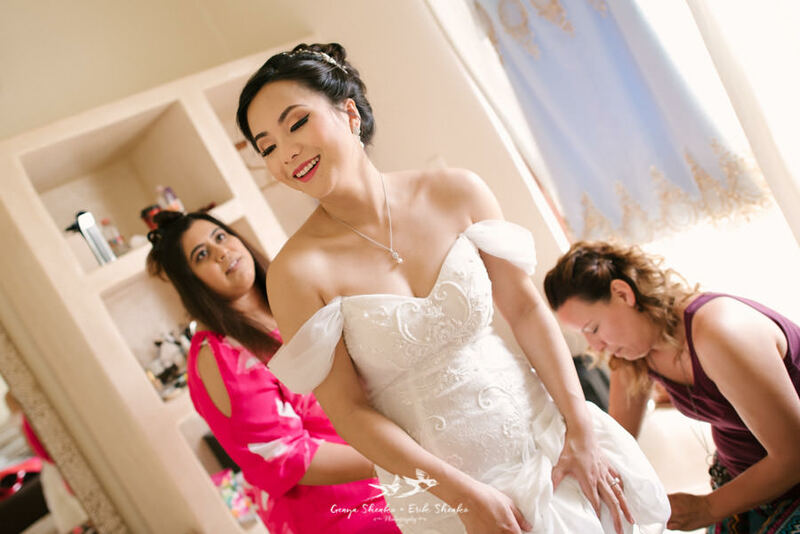 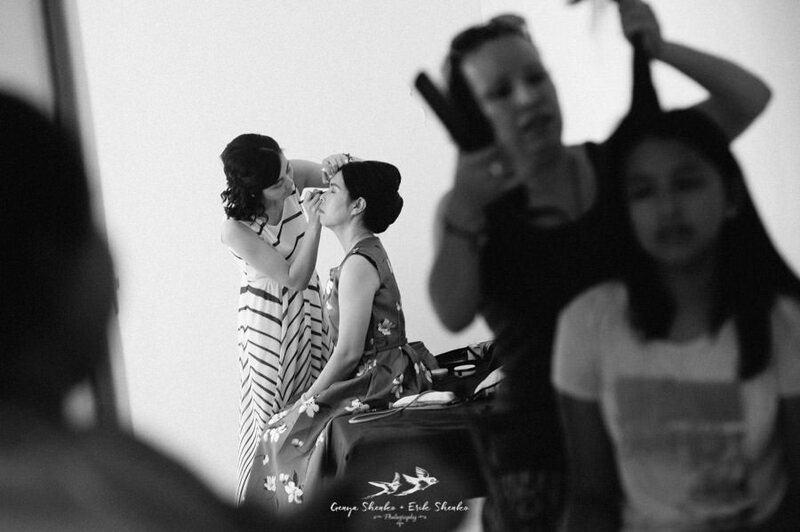 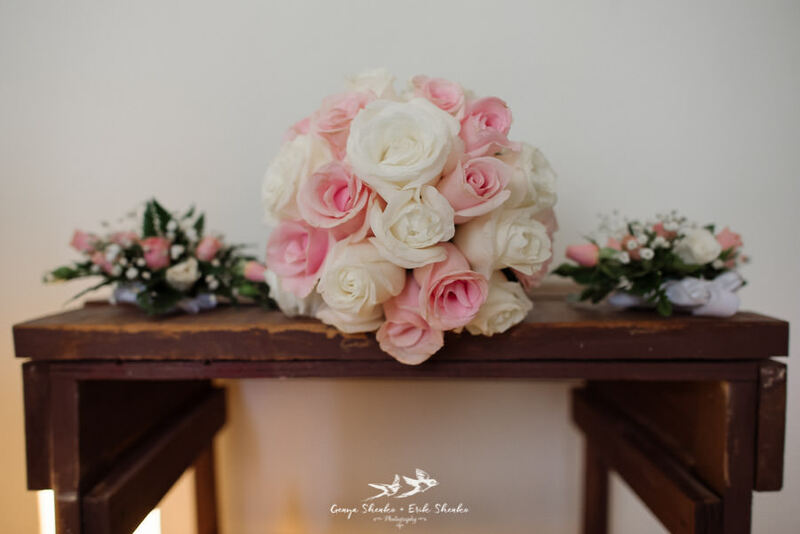 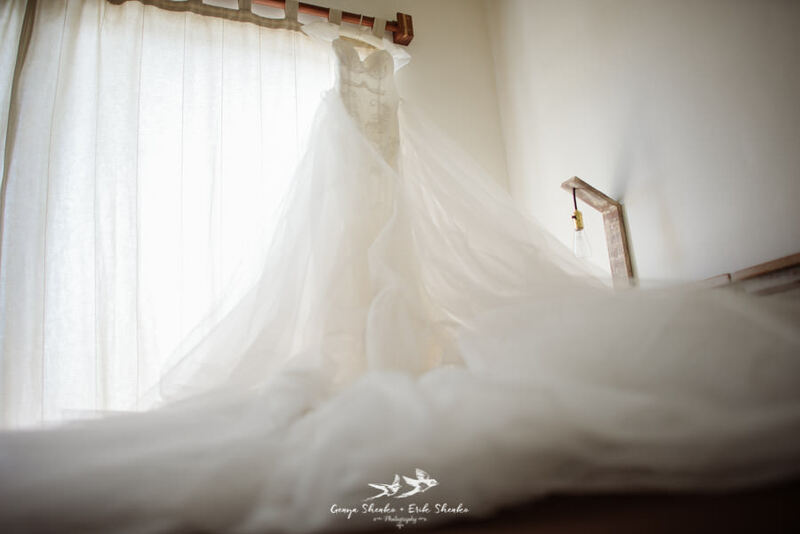 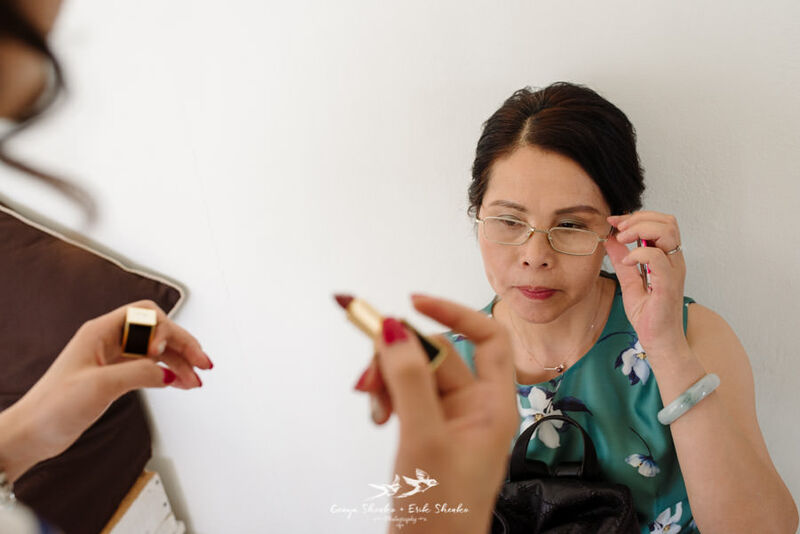 Xuan – my favorite moment was when I was walking down the isle. 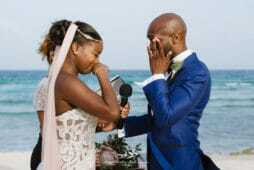 In my culture there is not such a thing of walking down the isle. 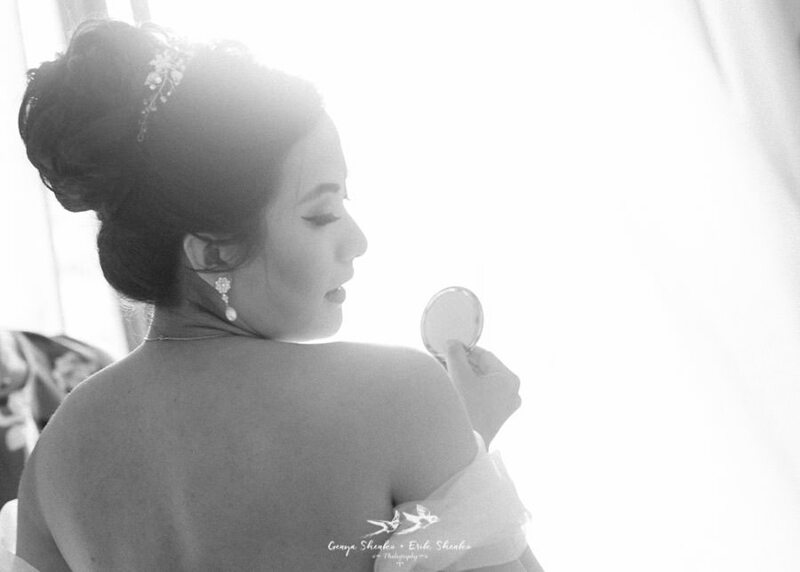 I never knew it could be so beautiful. 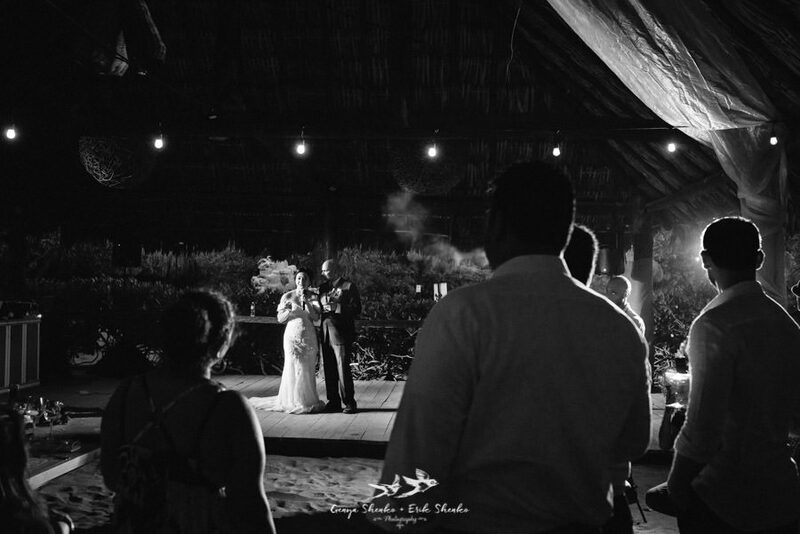 Unlike most of the couples, we didn’t practice it. 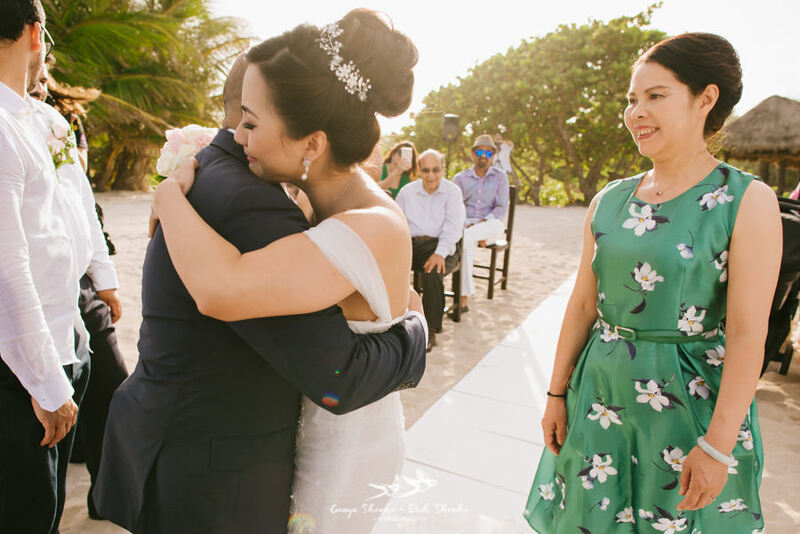 Although in my mind, I had imagined that moment hundreds of times 🙂 It was the first time ever that my eyes saw only one person in this world. 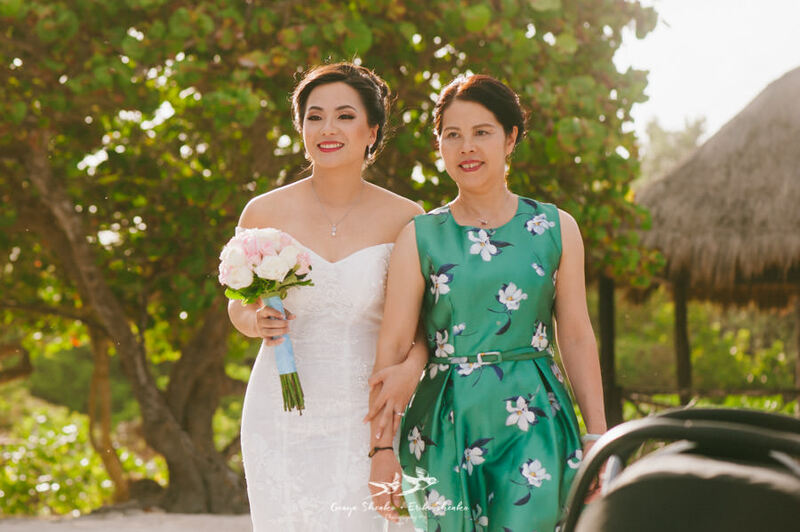 I completely forgot everything – the people around us, my mother who was walking me, what music was being played, my brides’ maids, etc. 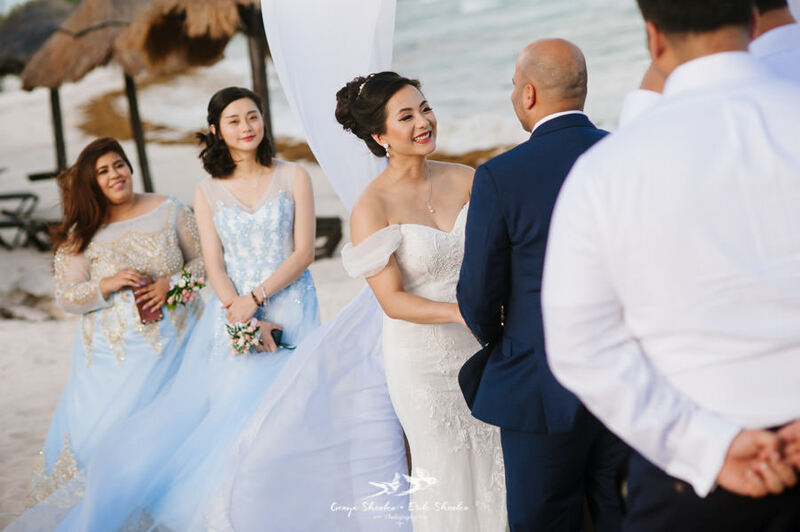 I saw the crystal backdrops were flowing; my husband was standing there and waiting for me with his charming smile; I got very emotional and ran towards him. 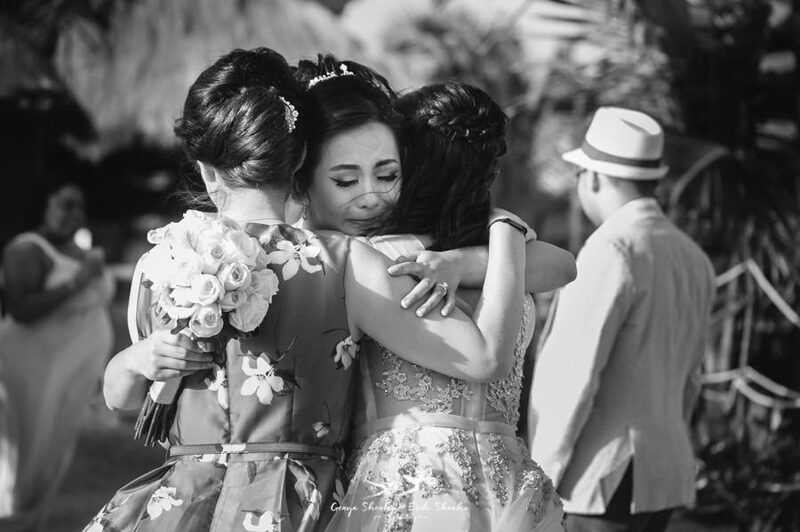 It was the perfect moment in my life. 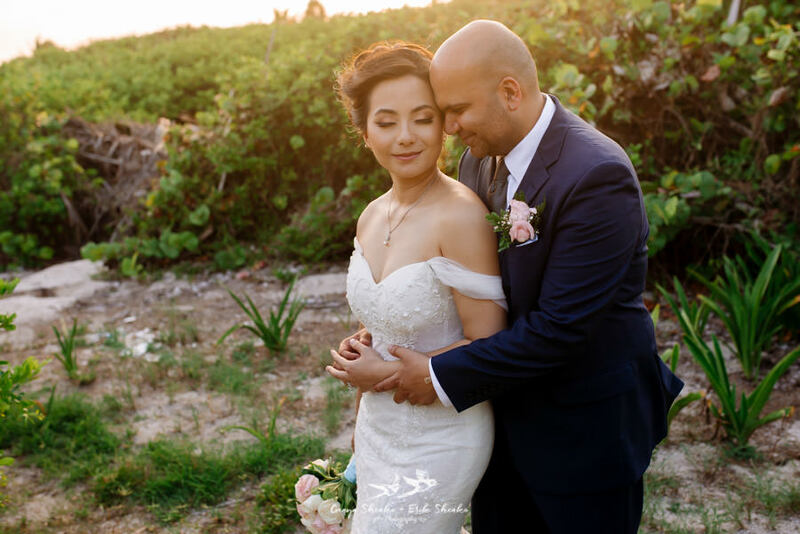 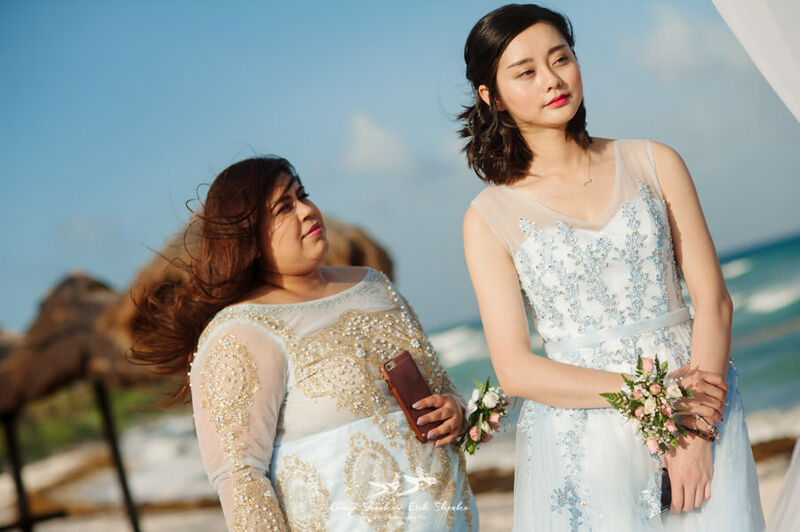 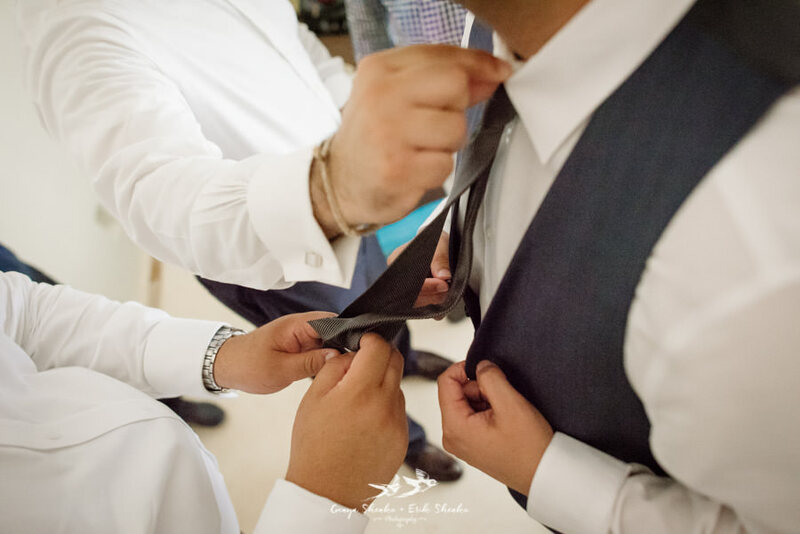 Ibrahim – my favorite moment was when I first saw Xuan in her wedding dress and she started to walk down the isle towards me. 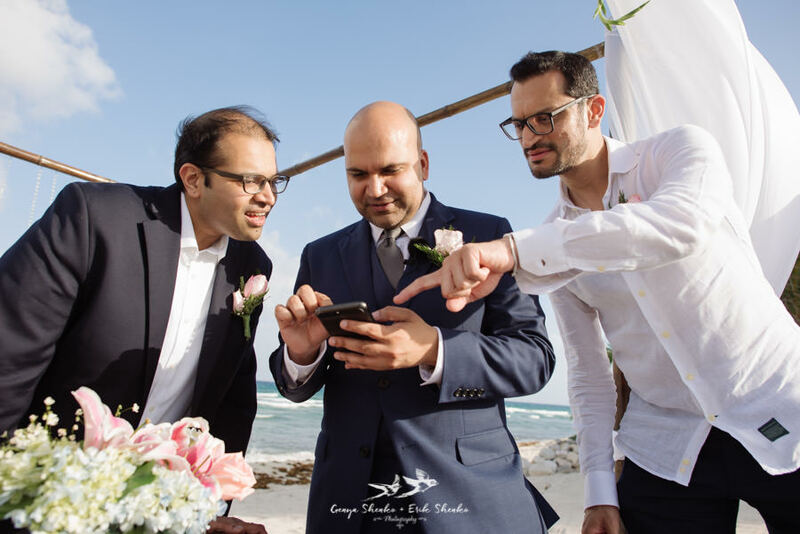 My groomsmen were talking nonstop and teasing me but, at that moment, I couldn’t hear or see anything but her. 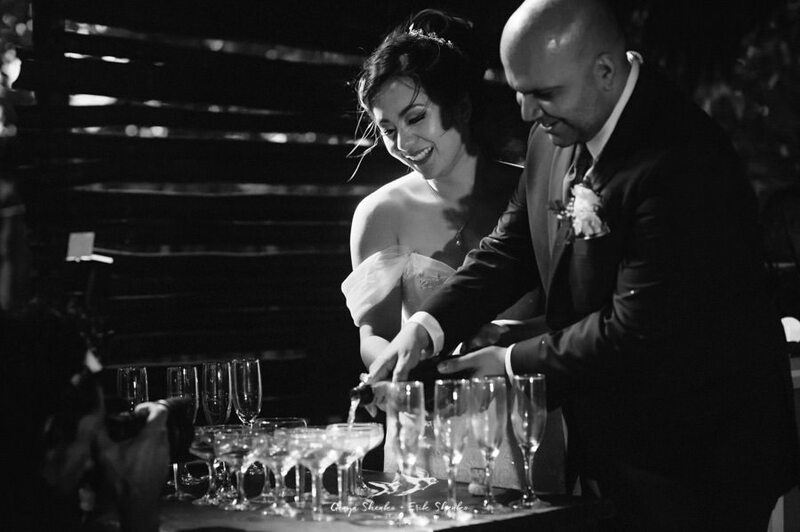 All I could think about was that this incredible woman was going to be my wife. 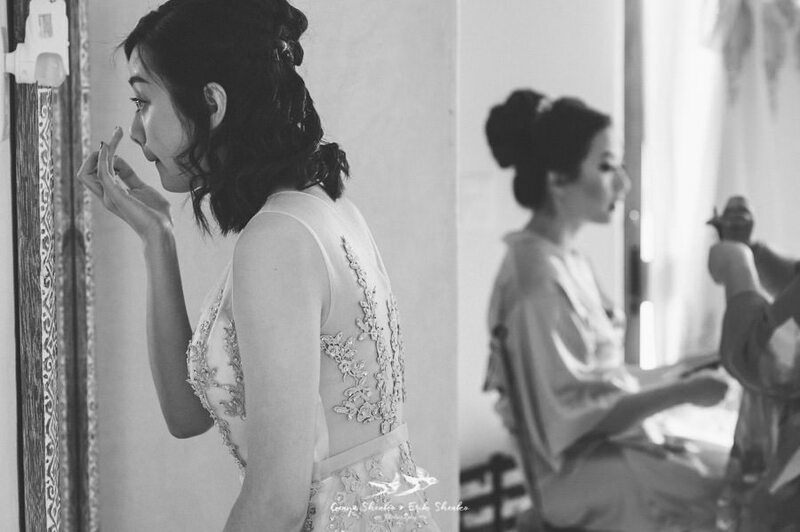 I have never felt more sure or confident about anything in my life.